The YWCA is celebrating National Volunteer Appreciation Week by honoring some of our most dedicated community allies on our blog! Jakki Parks is one such volunteer, and we’d like to thank her for all the amazing contributions she has made to the Gettable Edibles program at Family Village Issaquah. Read Jakki’s story below, and check back each day this week for a new spotlight on one of our many phenomenal volunteers! At Seattle University’s Masters in Teaching program, the goal is to educate students so they can go and serve in diverse settings throughout the world. These skills helped me as a teacher at Cougar Ridge Elementary School for ten years. When I recently had a break in my career path, I found myself reflecting on my experience in this program and using those skills to brainstorm a new place to serve. Then, when I attended an open house for Swedish Hospital in Issaquah, I stopped by the booth for YWCA Family Village Issaquah and their child care partner Bright Horizons. When I heard about the well-organized, enthusiastic and caring group of people who served their community through the YWCA, I was hooked! 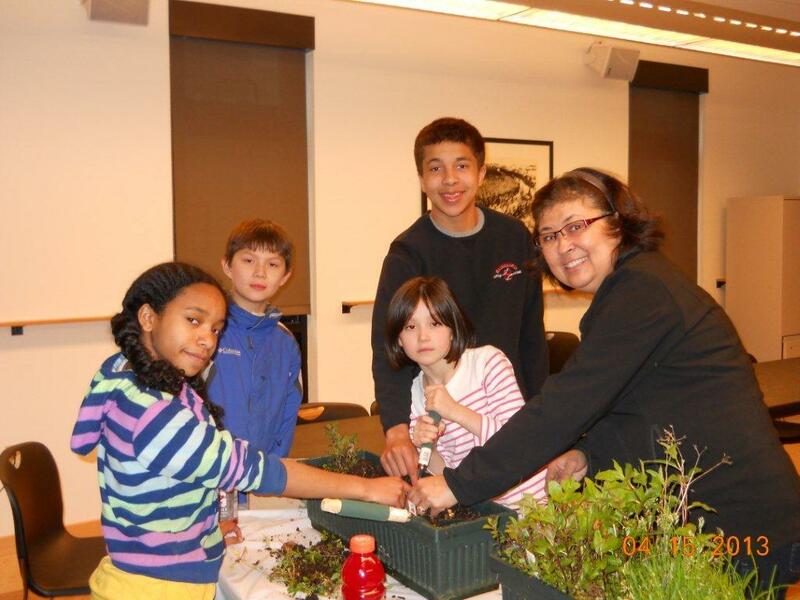 I wanted to incorporate a new hobby of mine, edible gardening, with my experience working with children. Maybe I could offer the YWCA a program that made biology fun, where kids learned where food comes from and helped them become more responsible, patient and compassionate? When I proposed the idea to the director of FVI, Degale Cooper, she was receptive and encouraged me to try it out.